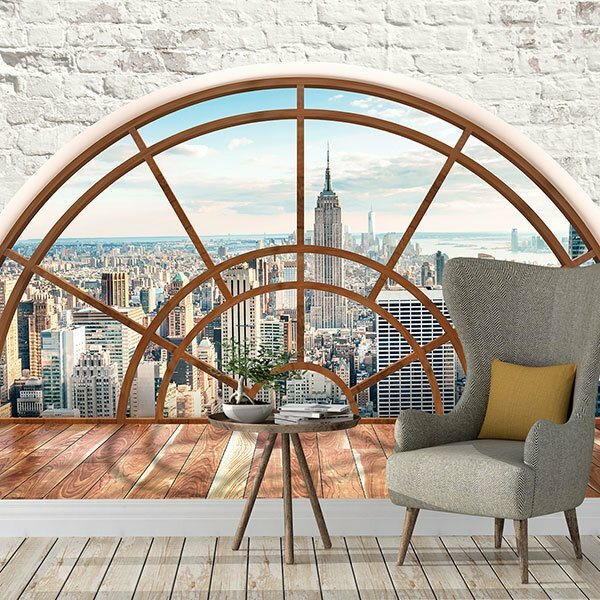 Wall mural Semicircular window New York. 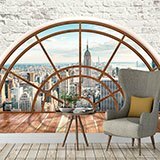 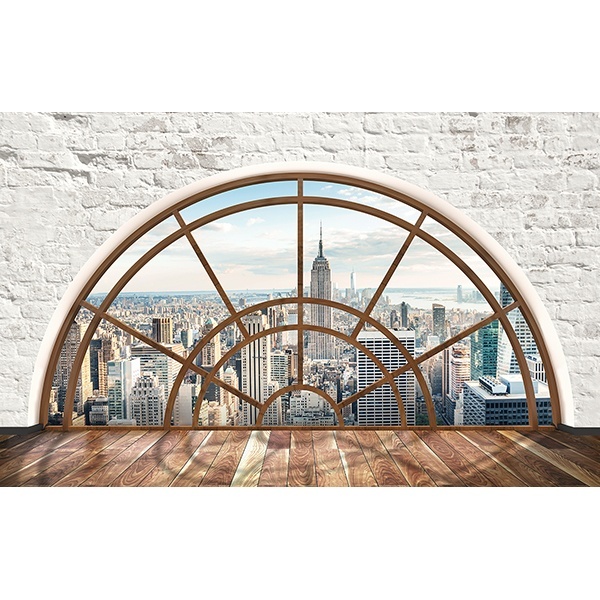 Amazing image of a fantastic semicircular window overlooking downtown Manhattan. 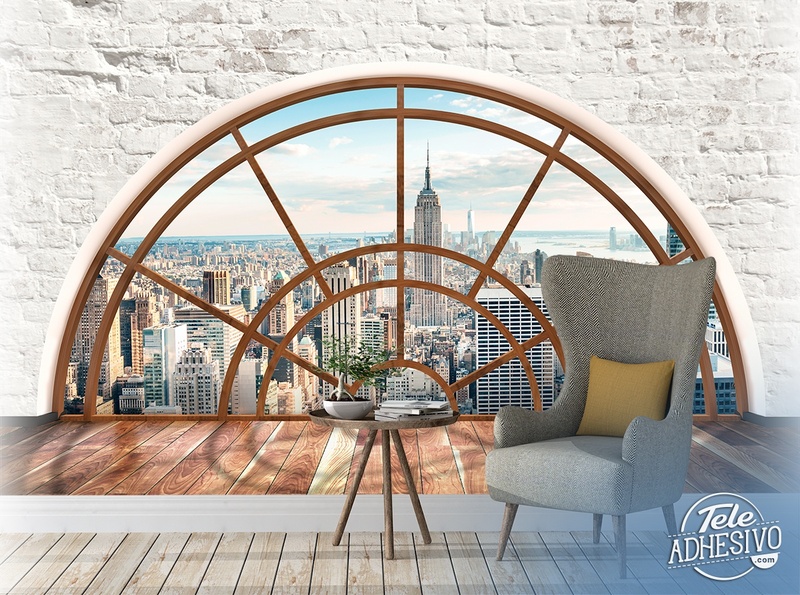 Both the floor and the wall have a very cozy rustic style. 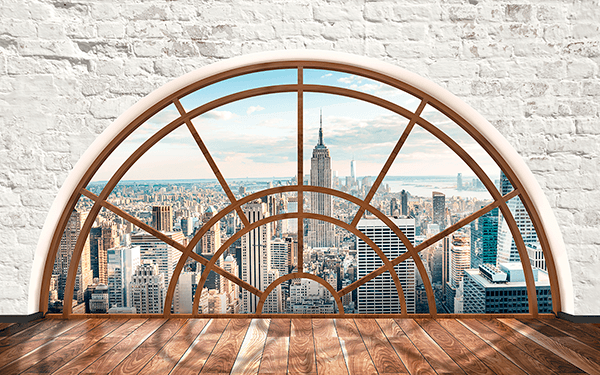 Decorate a wall in your home with this design and gain depth in an original way.